Rent Kohl Mansion | Corporate Events | Wedding Locations, Event Spaces and Party Venues. 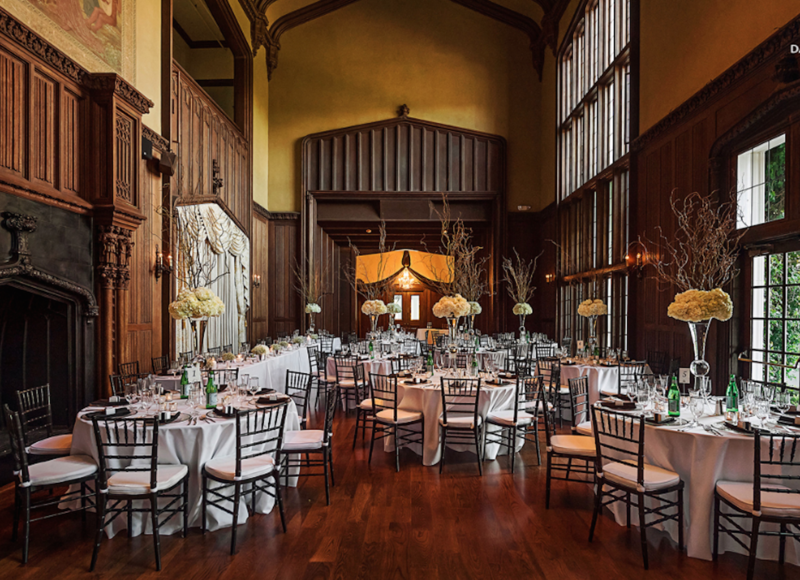 With unparalleled beauty and flexibility, a wedding at Kohl Mansion is nothing short of magical. Hold your ceremony on a sprawling lawn, take portraits in the rose garden or host a cocktail hour on the terrace. With unparalleled beauty and flexibility, a wedding at Kohl Mansion is nothing short of magical. Hold your ceremony on a sprawling lawn, take portraits in the rose garden or host a cocktail hour on the terrace. Let your guests dance the night away in our distinctive wood-paneled Great Hall and stand in awe of the grand staircase. Intimate or epic, indoors or under the stars, with private and exclusive use of the entire mansion, the choice is yours. This is your day, your vision, and this is the place that can make it a reality. From the full professional kitchen to ample guest parking, everything about Kohl mansion is ideal for weddings. Our experienced event directors and renowned vendors will make planning a joy and your wedding unforgettable.